Ramesses Riches is a spectacular Egyptian pokie (just like Queen of the Nile from Aristocrat). This online pokie features 20 free spins when 3 or more of the ankh symbols appear along with 4 more free games in the triggering spin and an large multiplier x6 on your winnings. In this game you will find Cleopatra, Egyptian artefacts and traditional A, K, J, Q symbols. Ramesses himself is the highest paying symbol with 5 in a row collecting 5,000 coins. The bet sizes can be altered from 1 cent to 1 dollar per line. 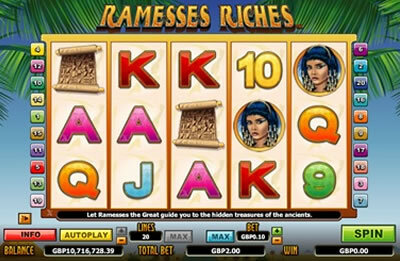 If you like Egyptian themed pokies then Ramesses Riches will be a sure favourite Microgaming slot. You can have a spin on our free instant flash demo game or alternatively read our online casino reviews to play with real money. There is also a huge progressive jackpot you have a chance to win on every spin and an autoplay function where you can set a predetermined number of spins/bet to play out while you are away from your computer. 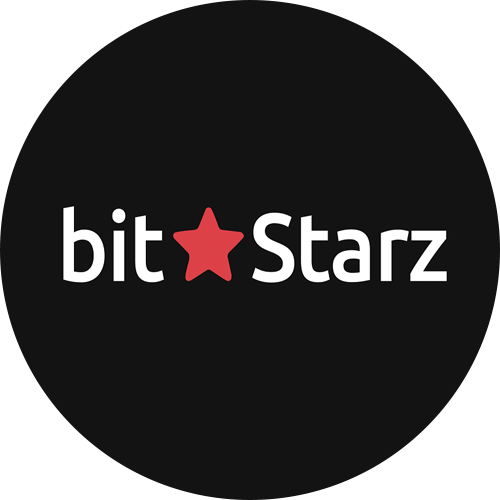 Currently the game is available on desktop computer and instant flash in your internet browser. It is soon to be released as a mobile pokies for iPhone and android.